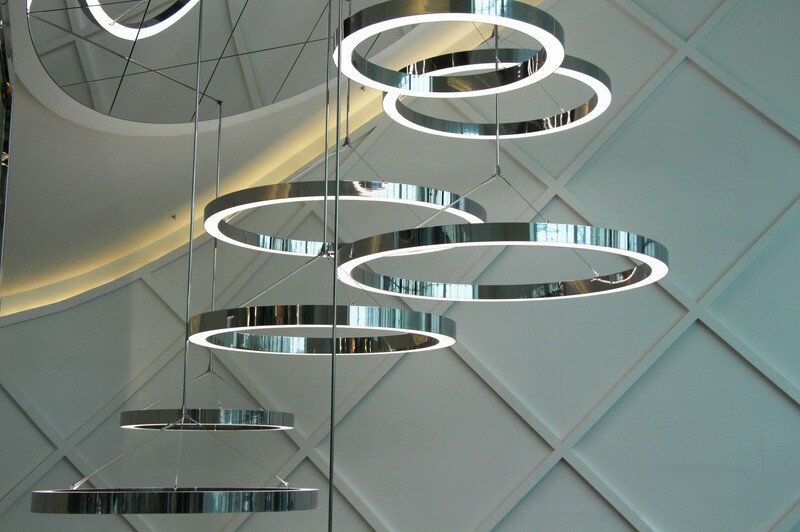 Lenoir Services devise, manufacture and install luminaires made to measure, depending on the requirements specification and the design established by the client, the architect or the lighting designer. The products of Lenoir Services come in very small scale (a few centimeters) up to very large (chandelier of 30 m²), unitary or in small series, always produced and pre-assembled in our studios in Villeurbanne, France. It is possible to certify the elements internally or with external laboratories depending on the norms concerned (CE,UL,CCC).